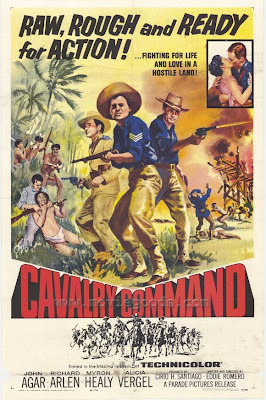 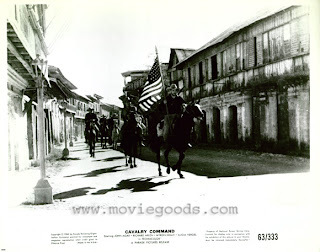 Romero’s painstaking recreation of turn-of-the-century town and rural society shows he’s much more concerned with the human drama rather than the mechanics of war, and may explain why the film was not a success when finally released in the States in 1963 as “Cavalry Command”. 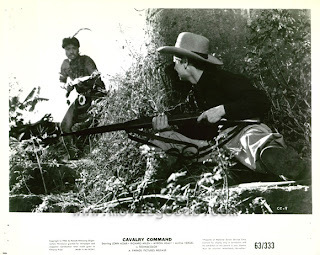 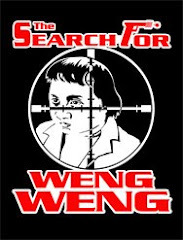 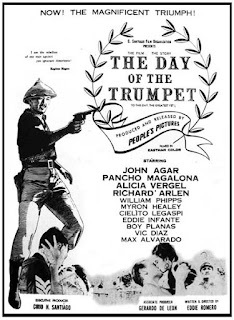 For a film marketed as a western, with Magno as a parochial Pancho Villa, and the feather-wearing Igorots as ersatz Red Indians, it’s a cheat, and indeed the shoot ‘em up action doesn’t rear its white Stetson until three quarters through its running time. 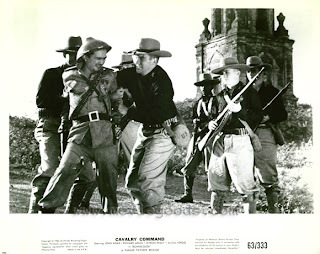 Instead it’s a serious meditation on the personal politics and consequences during occupation, one that shouldn’t take sides and yet does, for what one can only assume are for commercial reasons.